through a subtle color palette and soft light. We have the excellent reputation as esteemed photographers because we capture the flawless natural beauty. Therefore, we capture priceless memories. We also take the pleasure in capturing the maternity, motherhood joy, the special bond between babies, and parents in our baby photography sessions. We guarantee that the end product is an image that you and your family will cherish for years to come. 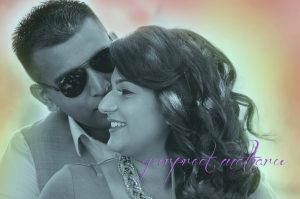 GTA PORTRAITS specializes in Engagement Photography Toronto, Halton, Mississauga, Brampton, Oakville both in-studio and on location serving GTA. GTAPortraits.com is an online platform for a professional Engagement, pregnancy, maternity, baby, family, children, candid kids, and newborn portrait photographer based in Brampton who specializes in maternity, baby, and newborn photography. We pride ourselves with professional photography products such as Custom storyboards; Canvas, Framed Prints, Wall Design Consultations, Photo books, and albums, Brag books, and Photoshop Services. GTA Portraits offers its clients the most outstanding custom experience at each session they’re with us. We employ exceptional sets, incredible handmade props and utilize natural light to come up with timeless heirlooms that will last in your family for generations to come.